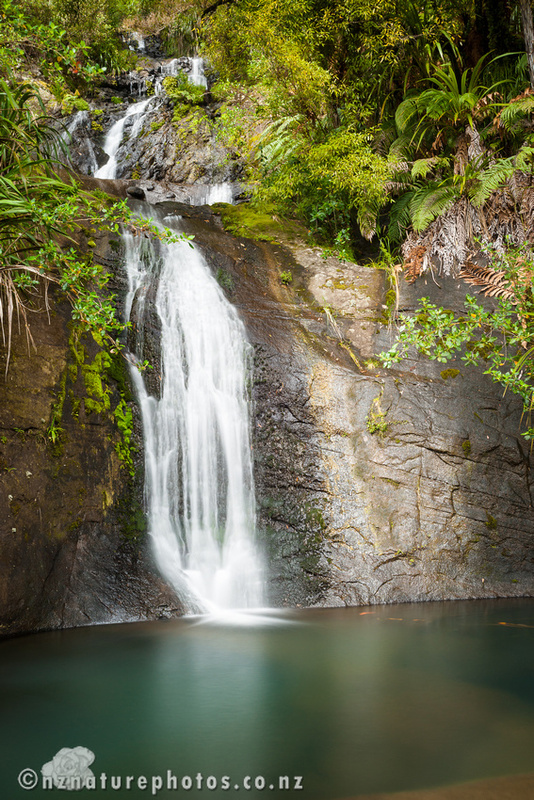 My last two attempts to photograph the Fairy Falls (in the Waitekere Ranges) were thwarted by the weather. On the first occasion, bright sunlight blew out the highlights on the water. On the second occasion, it rained. On Wednesday we had rain and bouts of bright sunshine. But the bits in between worked out okay. 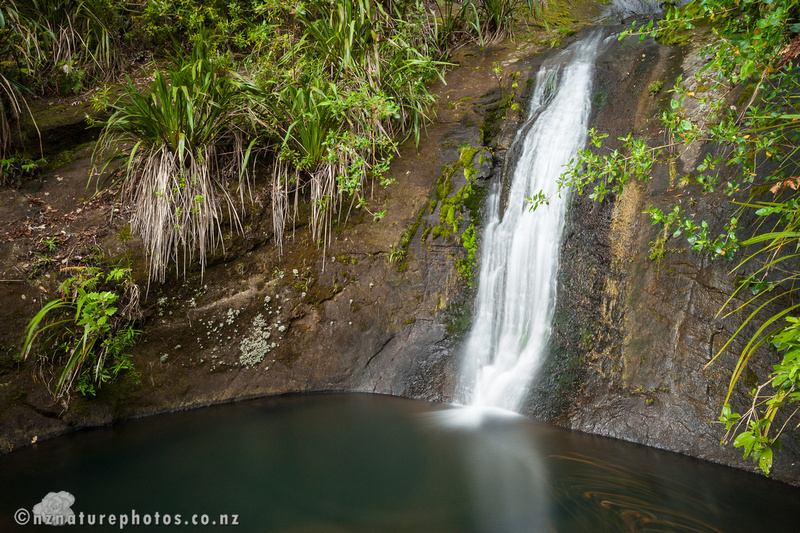 I have discovered that most waterfalls aren’t conveniently located within 100m of the carpark. Having some good hiking gear is still an essential to indulge in this type of photography. Nonetheless, that moment when you are by yourself, next to these sights- with native birds flitting about or calling- is quite special. It feels good to connect back to nature this way. And the one thing I like about landscape photography, is you really study what is around you. You see things, appreciate things, that perhaps a casual walker would miss. 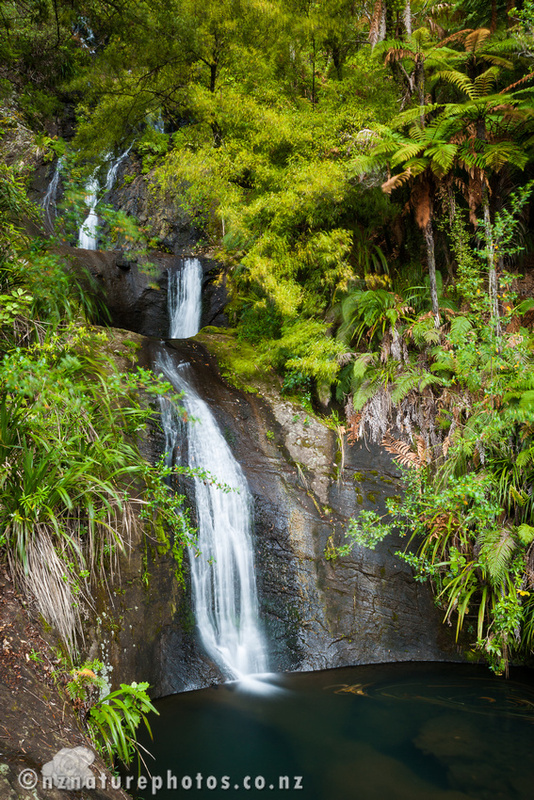 The Fairy Falls are deep in NZ forest, and drops down many steps through the trees. This constrains the perspectives you can produce. I traveled as light as I could with just two lenses (Minolta 17-35mm f3.5 G, and Minolta 85mm f1.4 G). Camera is still my Sony a900. 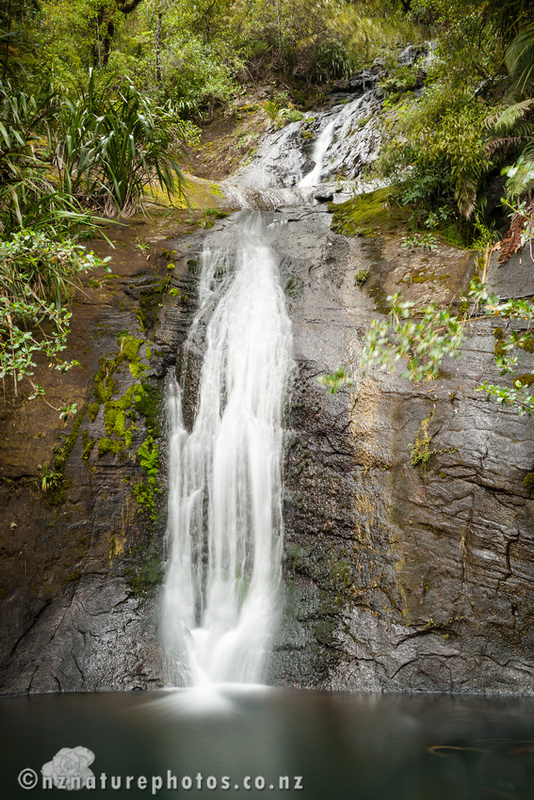 The falls have two main parts. The first shots are from the upper part. You can see the higher steps of the falls through the trees.